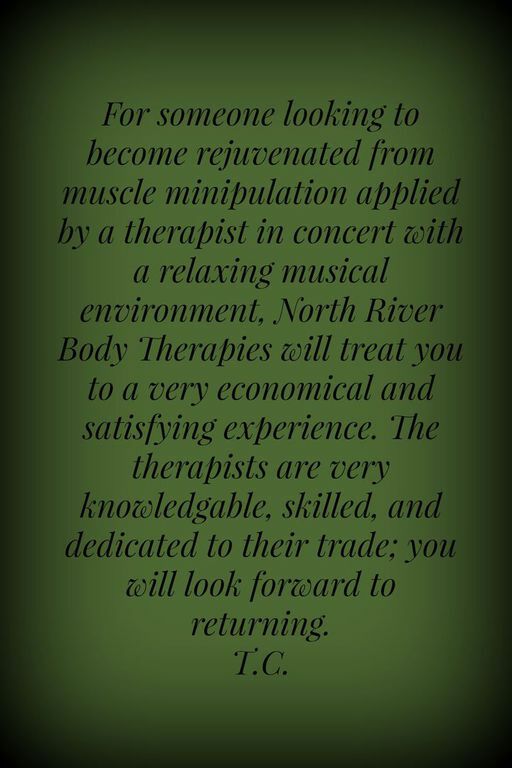 At North River Body Therapies it's about feeling good all around. 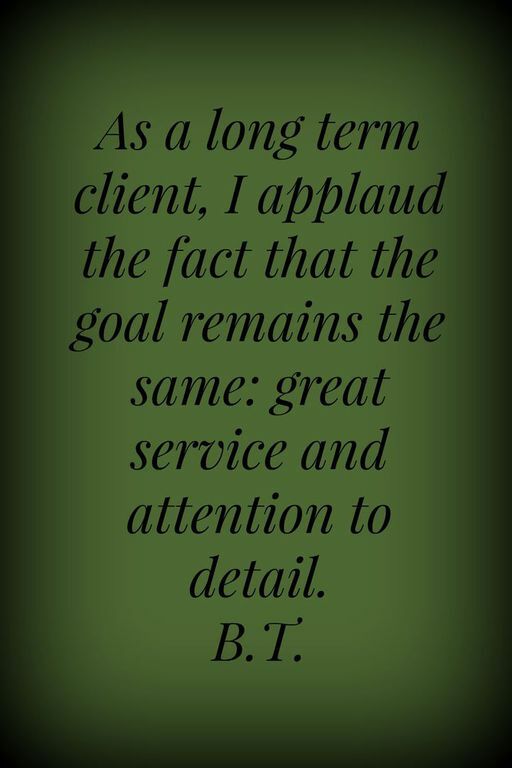 That is why we perform our treatments in an especially quiet and comfortable setting for you to relax and forget your troubles. 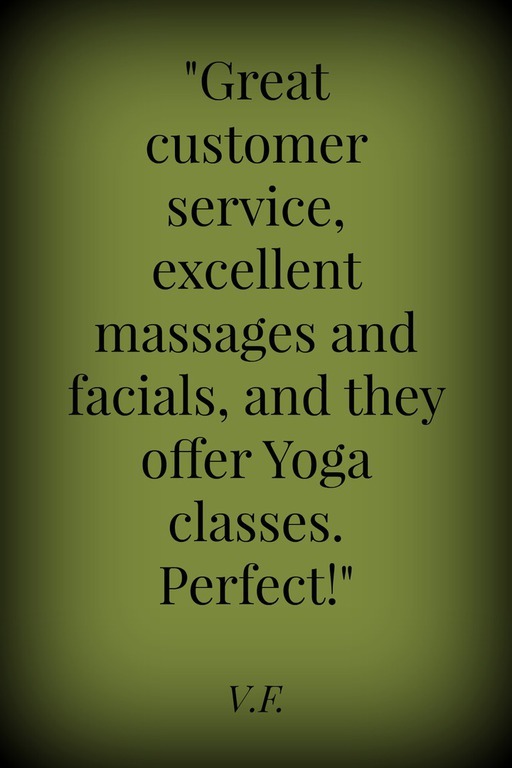 We guarantee that you will be happy with your treatment! For those who need spot treatments of deep tissue, but still want to relax. It is the best of both worlds! Give us your best Knot! This results oriented massage uses deep, firm pressure to specific trigger points to free those tight muscles, and help break the pain pattern. Not to be confused with a massage FOR your feet, this massage is done WITH feet! If you prefer not to have an elbow work out the kinks in your back, maybe you should try a foot! 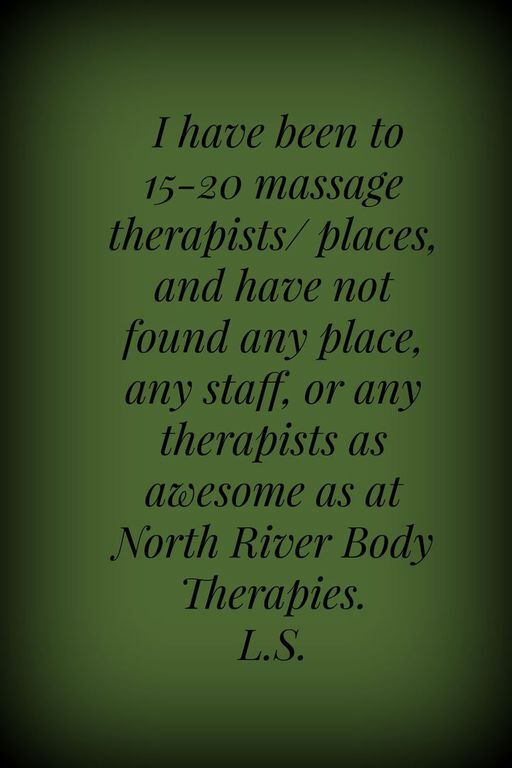 Your specially trained therapist uses their feet to provide the most comfortable deep tissue massage possible! Curious? Call today to find out more, or schedule a demonstration! P.E.R.T. - "Post Event Recovery Treatment"
With the rise in popularity of obstacle races, boot camp style training, and a general interest in combining fun with getting active, we have created a massage treatment to decrease DOMS (delayed onset muscle soreness) often experienced after excessive treaining/athletic performance. By using specific techniques and lotion specially formulated with natural ingredients for sore muscles and stiff joints, we aim to decrease your inflammation and soreness to get you back to training ASAP! 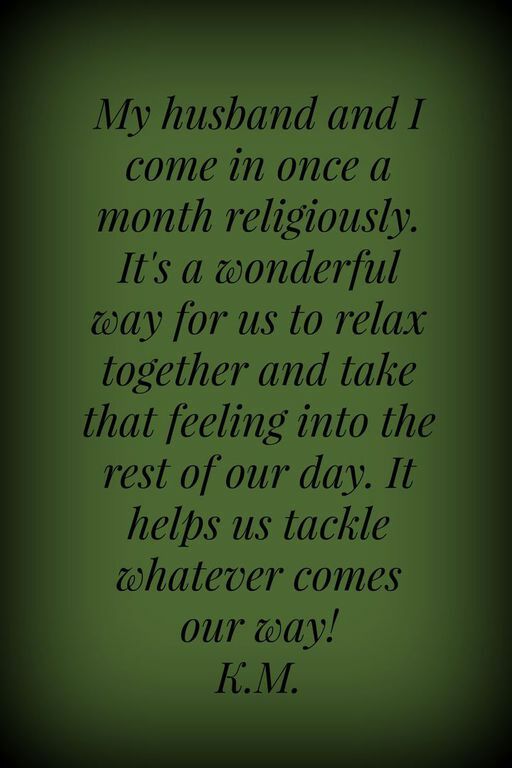 Relax as your tension "melts" away! 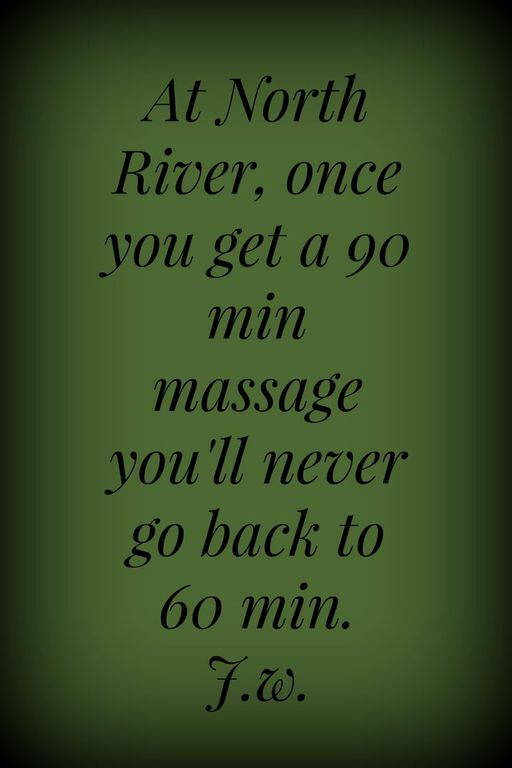 Smooth river stones are heated and then strategically placed on specific areas of the body to soften tense and tired muscles. While the stones are still warm, the therapist uses both stones and their hands to perform the massage, taking you one step closer to utopia. What you feel, your baby feels. Why not feel good? Pregnancy takes it's toll on a woman's body, often resulting in low back pain, sciatic pain, and carpal tunnel symptoms, not to mention swelling, stiffness, and fatigue. We have a specially designed pillow that is hollowed out so women can actually lay face down comfortably to further enjoy their massage! Perfect as a pick me up to get by, or monthly to maintain optimal health! Typically performed on those suffering from specific conditions, such as those caused by car or work related injuries, and most often referred by a Doctor. This outcome-based therapy uses a combination of Neuromuscular, Myofascial Release, Range of Motion, and Cross-Fiber Friction to achieve desired results. Climb into crisp white sheets and sigh as warm Rose, Jasmine, and Sandalwood oils are massaged into your tired muscles! In a hurry? On a lunch break? If your back or neck is hurting and you just don't have time for a full massage, ask for our Express Chair Massage! Please call for availability first.